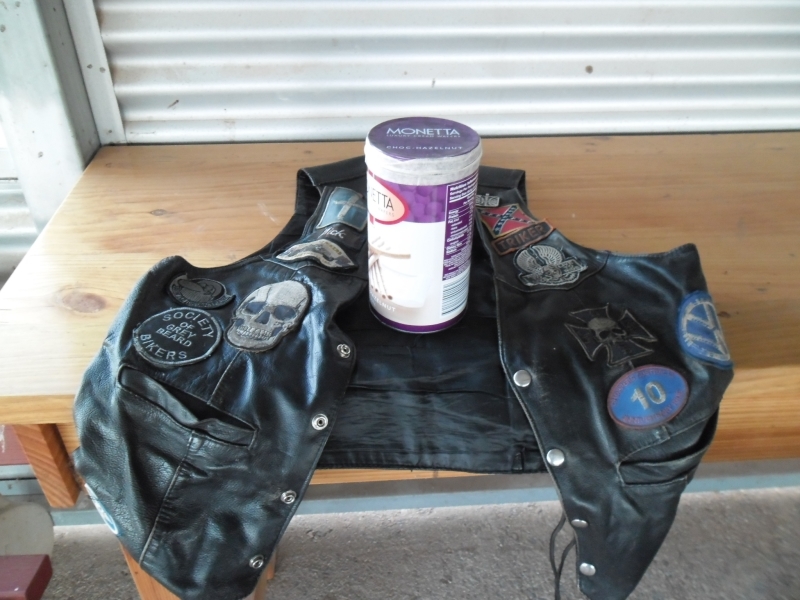 Mick one of our members and a keen and regular participant on our rides, passed away last year. Jim, his best mate suggested that some of his ashes be spread at one of his favourite places... a regular camping spot at Blythe. Weather was magic. The whole weekend was glorious, so perfect for our memorial ash spreading ride. 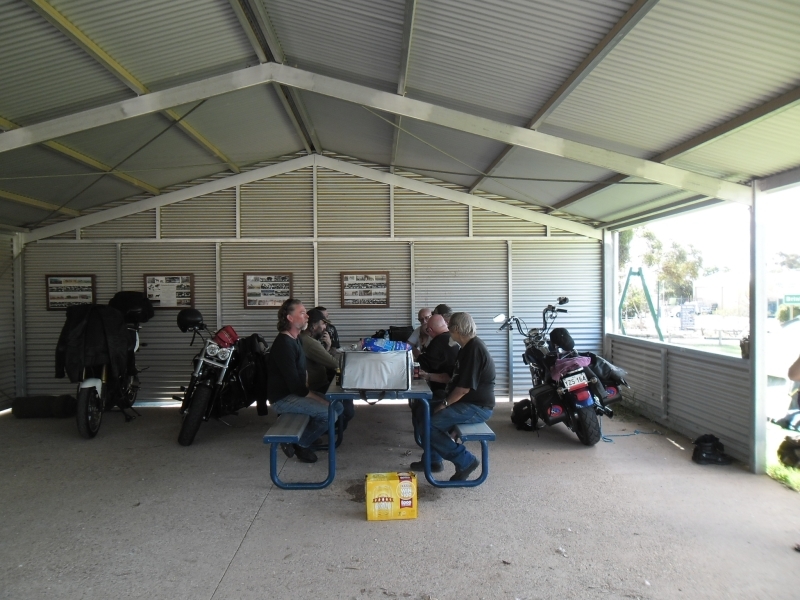 Jim, Jason, Peter and Mary and I set off at 11am and met Kris, Vector, Stuart and Bones at Kangarilla PO. 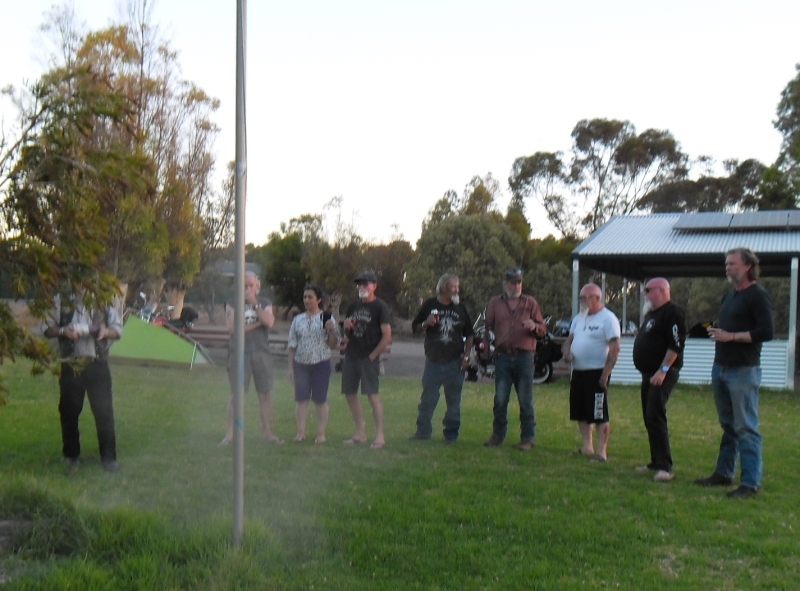 We then took off through Meadows, Hahndorf, Lobethal, Gumeracha and through a new road to us (via Forreston) that brought us out at Kersbrook. 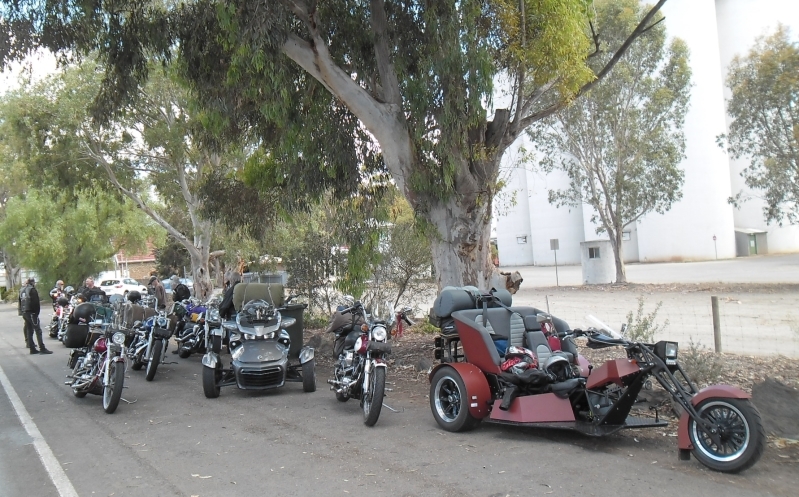 Then on to Gawler where we met Rowdy, Sidecar (and mates). 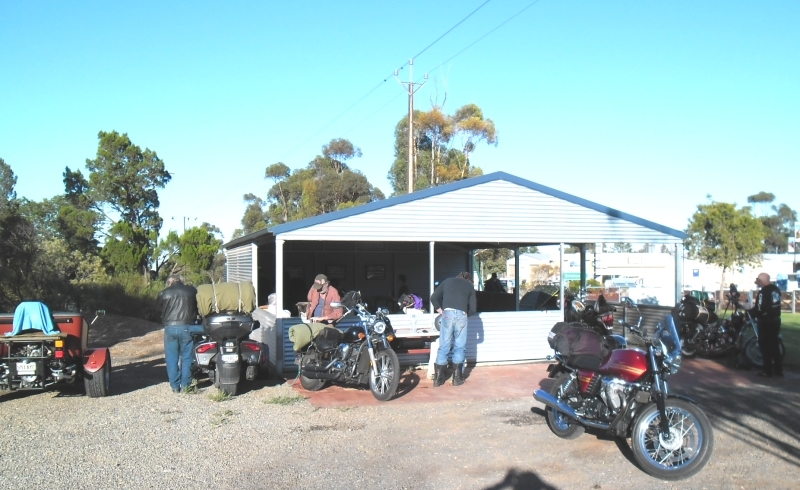 I planned to go north via Kapunda, but we got separated into two groups and one lot went through Mallala and we went straight through to Tarlee. Well we all met at Tarlee, so that was the main thing. Nothing like and bit of confusion to make the ride interesting!.. Then pack up time. My comfortable set up. 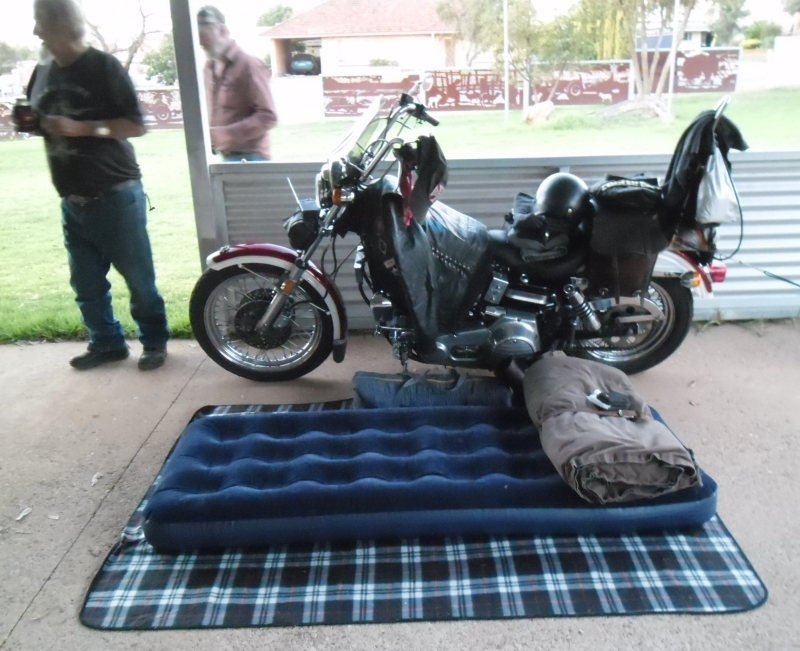 What could be better than sleeping by your bike!. 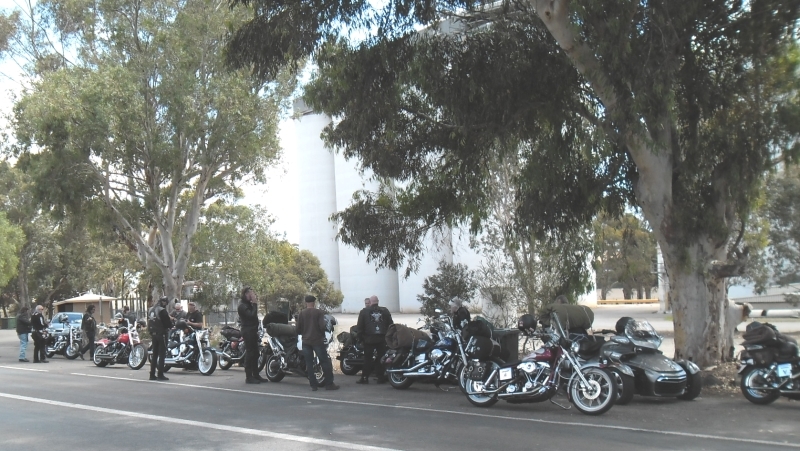 Once again we had a perfect ride back via Balaklava to Mallala. 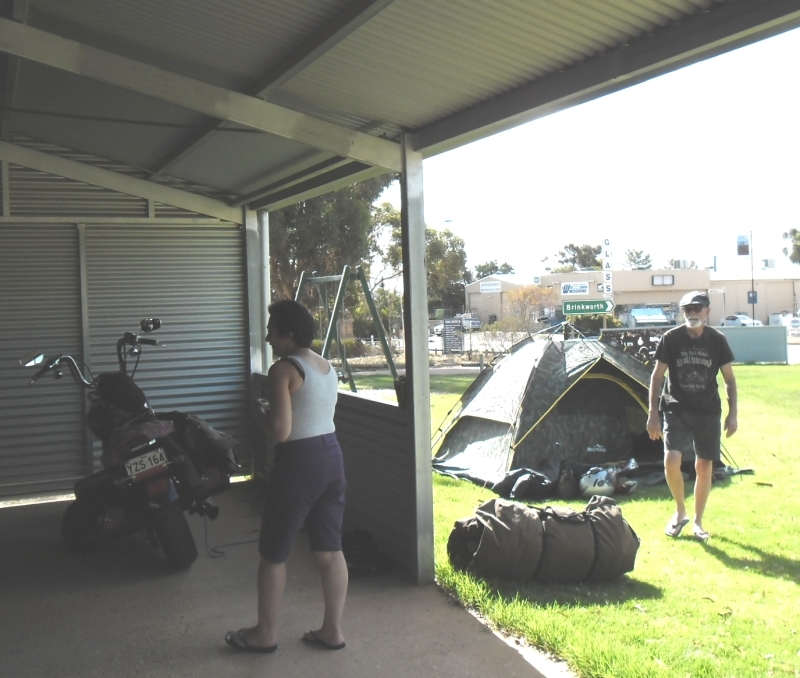 A trike for sale a Mallala that had attracted Pete's interest was already sold.